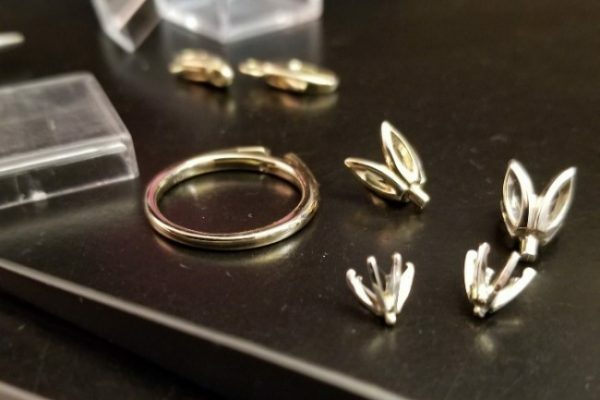 Calla Gold Jewelry expertly transforms your broken or un-wearable jewelry into polished, fixed and lovable pieces once again. 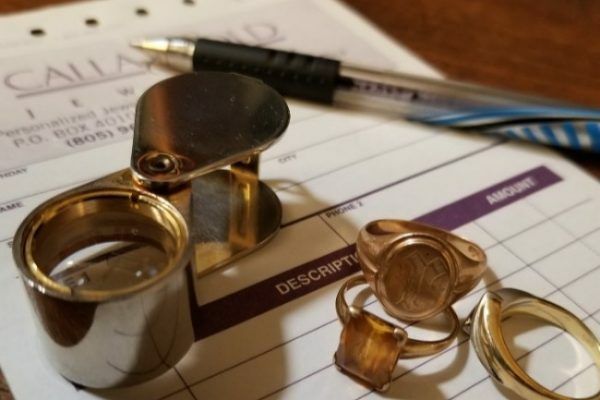 Whether you have a broken clasp or an ill-fitting wedding ring, Santa Barbara Jeweler Calla Gold can revive your beloved pieces. Diamonds may last forever, but jewelry pieces – like people – need loving attention throughout their lifetime. Calla Gold Jewelry can repair broken jewelry and bring new life to daily wear favorites. We're frequently asked what we offer. 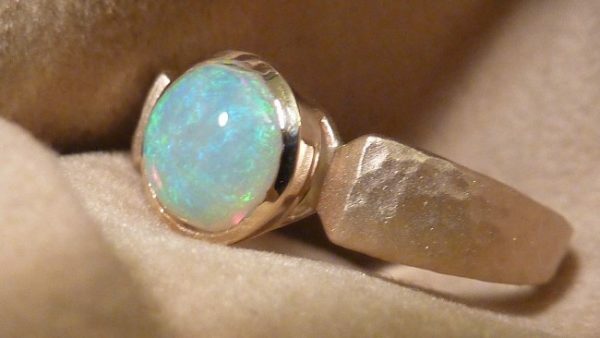 A partial list includes, restringing pearls, re-tipping ring prongs, re-shanking too thin rings, replacing lost gemstones, antique restoration, gold-plating gold and costume pieces, rhodium plating white gold jewelry, re-engraving, re-sizing rings, repairing damaged enamel, repairing broken clasps, restoring finish textures like hammering etc, soldering broken bracelets and chains and re-faceting diamonds. We love to restore inherited jewelry to its former glory. We love to love your jewelry back to life. If you are out of our area, we’ll use pictures to get this step done. Based on the work needed, I'll let you know a bid range, i.e., under $50.00, or, between $75.00 and $110.00. If your repair is unusual it may take a few days to get the estimated range to you. Often jewelry repairs have more than one element needing repair or a repair gives us an opportunity to beautify your piece by touching up a texture or detail that's gone out of focus. If your repair involves re-polishing a gem, replacing gems, clasps, pearls, or other services like re-engraving, we’ll often estimate what we think the job will cost. Once we locate the needed items for your job, if it exceeds our estimate, we’ll call you for approval before starting the repair. If you haven’t worn your ring in a while, we like to verify your finger size. Getting a correct size is more complex than people think. The thickness and design of a ring alter how it feels on your finger. We take that into account. Your narrow sweet sixteen ring may fit fine as a size six, but your wider basket weave design ring from Mexico may need to be a size seven to fit comfortably. 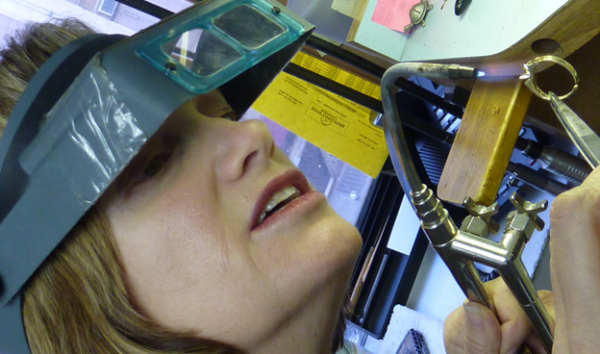 We offer soldering, laser welding, gem setting, gem polishing, gem replacement, re-stringing and more. We love a good challenge. 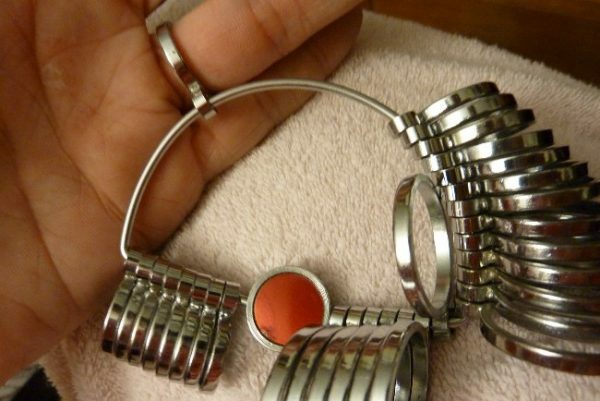 Show us your challenging jewelry situation. 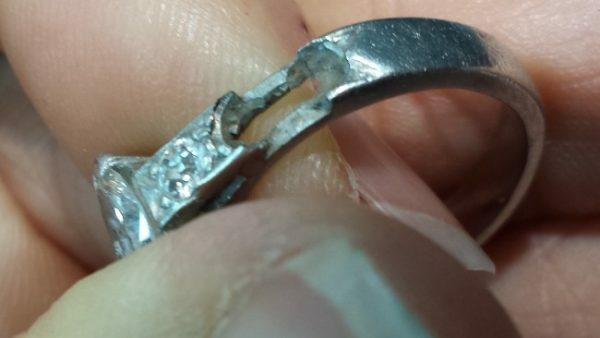 We clean your jewelry during multiple steps on some repairs. When we have completed the repair work, if you have for example a white gold ring, a part of the finishing process is the rhodium plating of your piece. 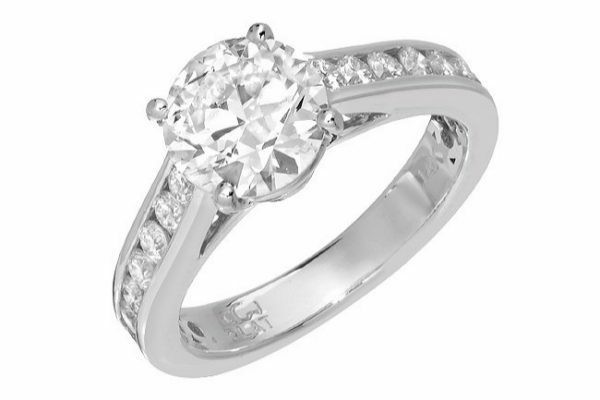 This gives your ring that bright white, brand new look. 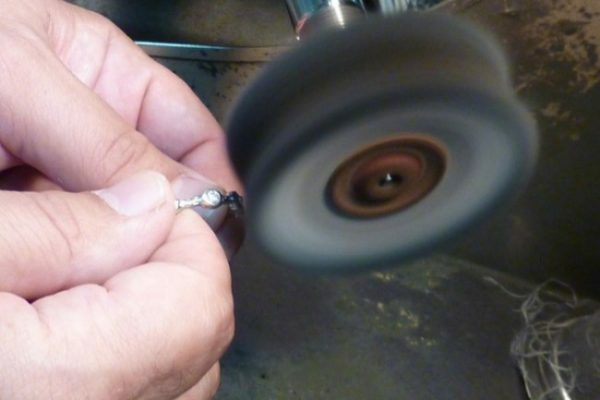 When sizing a ring with hand engraving, it may be the perfect time to touch up that engraving. We also do hammering, matte finishes, two-tone plating, oxidation, enameling, and vintage finishes. And more. Once your repairs are all done, we love delivering to you. Seeing how your sparkly beauties look after your repairs are done, makes you fall in love with your jewelry all over again.